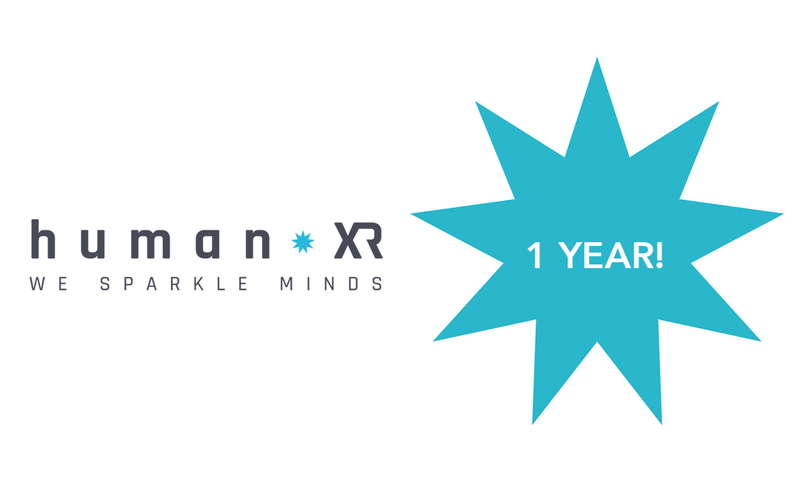 It’s a year ago know that we launched our HumanXR VR-platform, the first one in the Netherlands. Our goal is to enhance the health and well being of the elderly. The past year a number of different care institutions have started to use the platform. What are there experiences? What are the developments? What does the future look like? We will share the answers with you today! How is the platform being used? Another client notices “there are a lot of mosquitoes”, while he enjoys his ride in the canoe-experience. This shows immersive effect of VR. The clients really experience the VR worlds! 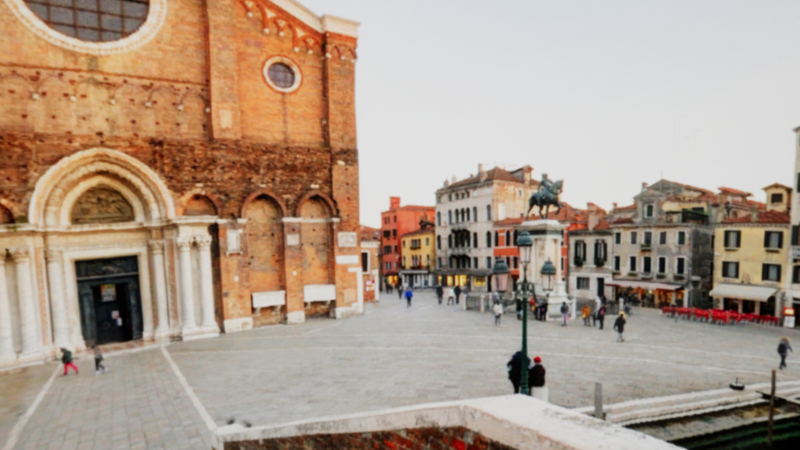 Our platform offers the possibility to really bring people to ‘a different place’. Niels Wetzels, one of the HumanXR partners, has seen a lot of moving response while giving his workshops about the platform. One moment that has really touched him, is the enthusiastic response of a woman in a wheelchair that had the feeling she could move freely again. Our VR-experiences seem to be able to bring back memories and stories. That’s why we added more VR-experiences like this to our platform in 2018. In 2018 we have expanded our knowledge about interaction in VR thanks to our collaborations with our partnersVivantes, Groenhuysen, Proteion, Land van Horne in The Netherlands, Thumbay Hospital Group in Dubai and Villa Berreta in Italy. Interaction is essential: it involves the client in the experience. It comes to life and this way it can trigger movement. And that’s what we want to see: more movements! 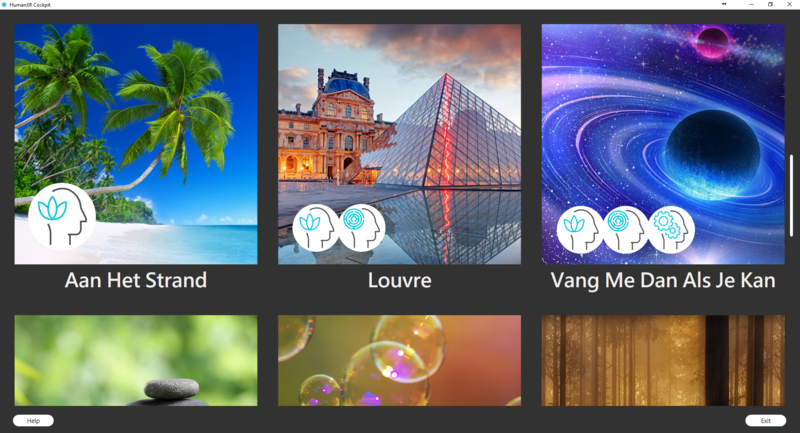 Besides the amazing responses on our current platform, we have researched (together with our partners) what is the most important value of VR to add to peoples lifes. It appears that there is a lot of need for VR-experience with interaction that stimulate healthy movements. There are a lot of 360 video’s, but you can not do a lot with those. It’s not really important to have experience around ‘real’ places. It seems to be more important that it is an immersive and fun experience: a video will always be a static experience. The coming year we want to focus more on interaction and stimulating movement at people that have a hard time moving. We want to expand our target group with people that have a handicap, pain clinics and people with obese. A big addition to our HumanXR platform will be our smart floorbike. Right now we are doing a lot of testing with it. The user will be able to literally bike through the VR-experience and do / discover all kinds of things. Besides that it’s important to us to make the platform even easier to use so there is almost no help of a supervisor necessary and to add more choices for the client.